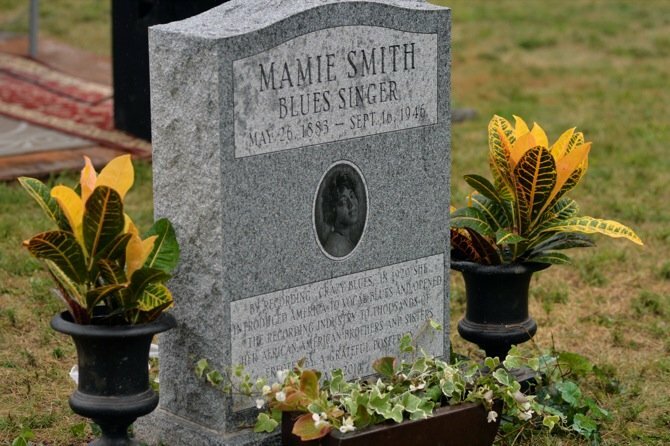 Grasmere music journalist Michael Cala deserves the utmost in recognition and respect from us all after initiating a campaign to mark the grave of blues singer Mamie Smith and realizing that helping the struggling caretakers of the entire burial ground was not outside the purview of his endeavor. The campaign was so successful that he not only honored a legendary recording artist but also contributed thousands of dollars towards the upkeep of Frederick Douglass Memorial Park. "The cemetery is rather cash strapped," Cala admitted in one interview, revealing an inconvenient truth that extends much farther than the boundaries of the memorial park to neglected and abandoned African American burial grounds across the country. "They don't have much money," Cala explained, "and what they wanted to do was...right headstones and foot stones that were moved by Hurricane Sandy." It's difficult to argue with him regarding his decision to donate excess funds to the caretakers to help refurbish the burial ground. Cemeteries are as much about respect for the living as they are about honoring the dead. Michael Cala made his effort an inclusive one, and he provided an example for the rest of us to emulate in our everyday lives. You can read more about the campaign and the dedication of the headstone of Mamie Smith here and here. The troubles of the cemetery continue to create problems for its caretakers a year after the dedication, but we are looking into the situation and hoping to help put the large burial under the control of individuals who possess the time and level of concern required to manage such a hallowed ground. 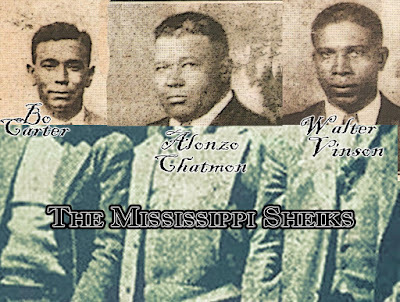 The problems with African American cemeteries are legion across the nation, but the Mt. Zion Memorial Fund attempts to support caretakers across the United States. It's difficult to get the mainstream media to cover similar campaigns to preserve abandoned African American burial grounds in Mississippi, so please visit our website to learn more about our constant efforts to maintain historic abandoned cemeteries and markers of blues musicians. 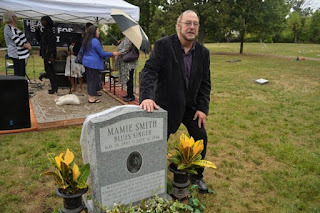 Currently, we need help to mark the grave of Bo Carter and preserve Nitta Yuma Cemetery. You can view the video for our campaign HERE. Brian Palmer makes the compelling case that "neglected black cemeteries deserve the same level of care that their Confederate counterparts get" in his recent article in the New York Times.